This was the PERFECT way to round out one of the most poignant love-story series ever! Wow… as much as I loved #1 (my book review of The Man I Love) & #2 (my book review of Give Me Your Answer True), this one cinched the whole series as a 5-star MUST read! The writing is exquisite. Absolutely exquisite!!!! 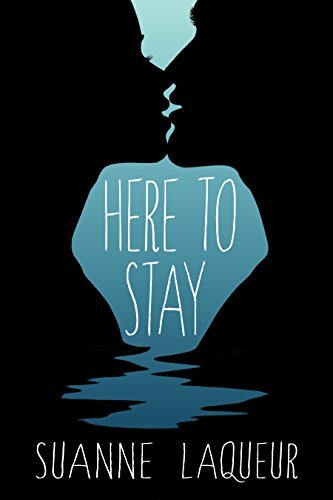 For anyone that loves an epic love story, but doesn’t shy away from hard, sometimes darker emotions, ugly situations, and wants to FEEL and react along with the characters, this one is for you! This story, in it’s entirety, is stunning. And surprisingly enough, it works as a standalone. The author delves back into their backstory so beautifully and so cleverly. So subtly. In such a way that a new reader that accidentally jumps into this one first, wouldn’t question “their” story. As it comes back in the form of memory, thought processes, realizations, the author is amazing at telling and re-telling a story without it feeling cumbersome. The writing is so flawless, that the memories are tangible. I can taste them. I can touch them. It’s as if they are my own. That said, I must INSIST that you read each book, preferable in order that they were written, as you not only get the whole story, but you can also feel… or experience the author’s emotions and her own journey with these characters, as she was writing these. She’s not “in” the story, no… but each book’s ambiance is specific to her own personal headspace at the time. Read them all to get the full scope and intensity of emotions and the circumstances that shaped their lives, their decisions, and their unthinkable mistakes. Their incredible achievements and their devastating regrets. Their humanity. Maryse: When you hit the sad part in the book. No. The devastating part. And you want to cry, but you know you have so much to do before letting it go. So you put the book away until it’s time to properly fall apart with it. Stacey: I wait till I need a good cry and dive back in. Sometimes it’s the best part. Jo: Which book Maryse? I feel like one of those reads, I know it’s bad for me but I love losing myself in a good book! Stephanie: Which book? I love books that spring all the emotions! Carol: I haven’t started this one yet but the first two were 5 stars for me. I have to finish Appealed before I get into this one and my damn job is taking up too much time for reading right now! Maryse: Carol… this is the best one yet. Of all my life. Maryse: Carina that’s the part. Stephanie: See Nancy? This is the Series I hear everyone raving about! And Elizabeth too! Remember me recommending this Series to you? Maryse is raving about it too! Maryse: Suanne Laqueur you are one of the most amazing, eloquent, real authors I have ever read. The emotions you capture… the reactions… oh my god the reactions. I have never read or experienced anything more real and I believe every single second. Maryse: This one is deep. It’s layered. It’s loaded. It’s EVERYTHING. You might find yourself thinking it’s more than necessary until you it the dark spots… and you realize you needed ALL of it. This is why we read. Marie: Deep. Layered. Loaded. This is the stuffed potato skins of books, people!! Sink your teeth in. Leslee: I’m getting ready to start this book now. The first two were 5 star for me. I’ll never forget this series. Theresa: yes everyone stop and start reading now. Sadie: Nods. I was on a plane. Nowhere to hide! Maryse: It was AMAZING. My eyes burn and are puffy but it was perfect. Jenny: I’m still suffering from a book hangover after reading this series. But I’ll do it all over again. Loved it! Trisha: I am right there with you Maryse! Just finished last night. So very real, every emotion, every word! Life. Real… tragic, beautiful, life. The rise and fall… and rise again of a best group of friends, and also each individual character making up the group. He knew the general luxury of spilling your guts to a buddy. But he’d forgotten the particular comfort in slicing off a bit of a problem and handing it to Will to hold. And while this trilogy focuses on the life, love and heartache of two main characters (Daisy and Erik), there are a few other characters that I have come to know so well, throughout the trilogy and while I “know” their stories too, I’m dying for an in-depth look at some of their own personal journeys. There is SO much story to be told. A group that comes together working on a ballet performance in college, and that is torn apart (slowly… at first) by a tragedy that affects them all equally… yet uniquely. And it’s how they cope with the tragedy. How they deal with their emotions, with each other that throws their amazing dynamic out of whack. Completely needing each other for support, but sometimes… each not having enough to support themselves, let alone the others. And years go by with them grasping at each other, at their old lives, mingling with their new lives. The rejection, the pitfalls, the lies. Especially to themselves. But things come full circle. It’s wonderful. It’s relieving. It’s real because even through the relief, old pain and resentments come back to light. Now the sound of her French from the kitchen was rubbing against the nap of his peace. As if it were Dave on the phone and she was indulging him. Deliberately excluding her lover. What’s going on? Is this happening again? This is old pain, he told himself. Why is this showing up now? “Because you didn’t deal with it then,” he mumbled. …have to be dealt with. “Do you love me,” she said into his heart, skinless and defenseless. He pulled her hands from her face and took her head. He kissed her. Forehead. Each cheek. Nose. Chin. Mouth. And even more life (real life)… maybe even fate… intervenes and this book throws them (and us!!) into the biggest emotional whirlwind yet. You’re not alone. You found your tribe. You will survive this. “I can’t,” he whispered, knowing he could, but wishing with every fiber of his being he didn’t have to. What I love so much about books like this one… the ones that take the reader on such a profound, heartbreaking, and uplifting experience, is that it all happens naturally. Believably. It’s real… even if at times, the events are so overwhelming and appear larger than life. The way books like these are told… there’s a real ingenious magic there and I didn’t once feel manipulated by the author. THAT is what I love. That is what separates this kind of epic, sometimes tragic, love story from other tear-jerkers. It’s in how it’s told. The journey is not rushed. The events are all relevant (even if at times, they seem slow and ponderous – yes, even this magnificent trilogy experienced the occasional “clunk”), and I prefer living each moment as if it’s just as important as “THE” moment that “makes” the story. Because, in reality, in a well rounded story such as this one, it’s ALL relevant. Setting the stage, developing the characters as individuals and as a group, subtly foreshadowing, having the reader live with them, produces an eventual outcome that is much more meaningful. This trilogy is unforgettable, not because of a certain moment or shock value… but because of ALL of the junctures that create that moment. I just can’t do this book, or this series as a whole justice, explaining to you what exactly I mean, and why I love it so, without spoiling some BIG moments, and BIG emotions, and BIG reactions. But the author’s are. You must read this. Great review. I too highlighted the quote about slicing off a bit of a problem and giving it to Will to hold, and the one about you don’t have to do it well…you just have to do it. And “I’d never breathe again.” I can’t stop with this book. I love WILL. The best of friend. Lucky too. OMG I miss these characters so much already. P.S. I want Will’s story next. BADLY. OMG THAT QUOTE WAS GENIUS!!!!!!!! YES. How she described that… OMG YES!!! OMG yes… the bad ride. I don’t think any of us who have read these 3 outstanding books can say enough. To be honest I went in with “this is too wordy”. But you soon find out yes the words have to be, and just unbelievable words, writing, story. I know we all say we have the best book, but hands down none of us have read anything like these books and this story. Suanne is just unbelievable with her story telling. All my praise for a wonderful writer. And yes Will could actually be the most complicated character. Please write that story Suanne. Thank you so much Maryse. I thought TMIL was going to be my one and only. But it unfolded and…this happened. It’s changed my life and thanks to you and bloggers like you, I’ve met so many amazing people and connected with these fabulous readers. I can’t thank you enough….except by writing more. All of you so much. I’m so grateful you reviewed The Man I Love, Maryse. It’s how I found this series. I don’t have the words to describe how much I’ve loved each and every book, but I’m definitely a lifelong fan of Suanne’s now, that’s for sure. p.s. And Will? OMG,yes. I’ve turned into a bit of a Will junkie. I want to know everything there is about him. Wonderful review for such an outstanding series. I just started book three and your review is beautiful, just like you! And I can't wait to hear what the rest of you think of this heartfelt series!! Oh man!! When Maryse throws out a review like that, how can I resist? Add it to the pile… I have a separate TBR now for Maryse’s 4.5 to 5 star reviews, because I just know I’ll love those. Can’t wait to read this one. YAY MichelleS. I will fluff-up Manny for you… you’ll need him. Manny is our “virtual” stuffed manatee (like our “teddy bear”) that we snuggle with when books gut us and make us cry. I’m at 20% of book one and holy wow. The feels, the slow build, the writing. Soooooo beautiful. I’m savoring it already and trying not to read too fast. But I’m thrilled that I have the whole series ahead. I felt a pull to these books first by your reviews Maryse (thank you! ), then the book covers which are so beautiful but also when I saw that the author also loved the book I love so much, “I’ll Give You the Sun”. The only thing I wish is that I had not read the synopsis but then again maybe it is prepping me in some way. I’m in book heaven right now and soooo excited to be reading these. And to spread the word about this book and series to friends, family and bookclub! I can’t wait for you to experience the series as a whole, Marina. It’s cathartic. :D!!!! *hug* I’m so happy!! This series rung me out – in the best way possible. So many times I had to set the book down and process for awhile before I could start again. Such a huge story and told so beautifully. I felt a real conection to the characters, as if i had an investment in their lives. Such a great way to start the year!! These books really reminded me of a modern day The Bronze Horseman series by Paullina Simons. I just read these books …I saw your recommendation….now I have a huge book hangover! I am sad to have finished the series..it was so good…the dialog between them all felt so real and tender…the books were excellent…thank you! Huge, huge fan of this series!! I just wish I could read all three books for the first time again. Any recs for what to read next?